A British primary schoolboy has become a world golf champion – at the age of SIX. Talented Jaxson Perry took the title as one of three trophies in just four days on a trip to the USA. The youngster was crowned world champ in the 8 and Under pairs category and the 7 and under putting event. 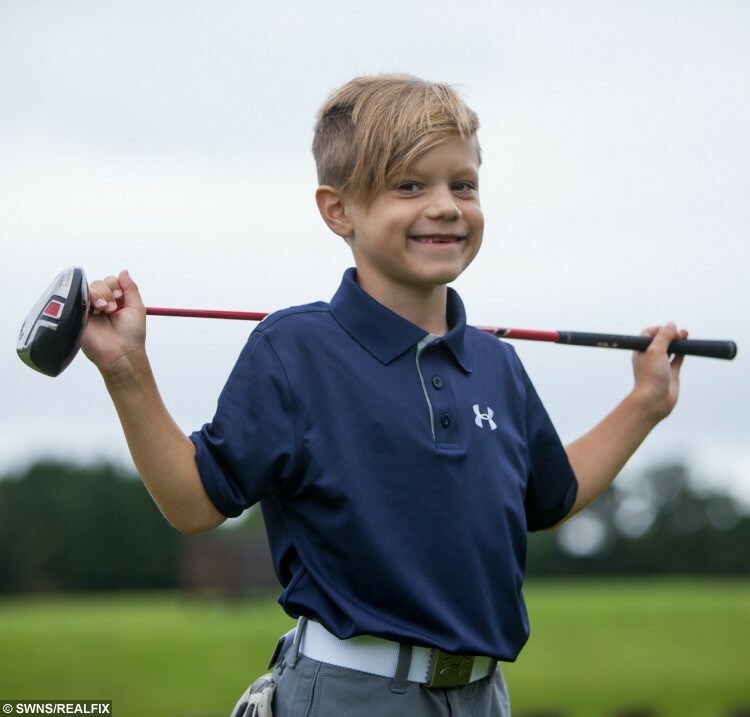 He was also the top placed European player across all age categories in the individual competition at the US Kids 2016 World Golf Finals in Pinehurst, North Carolina. Jaxson Perry, 6, young golfing Champion at The Kendleshire Golf Club. The event welcomes 1,450 players from 84 countries and is regarded as the pinnacle of junior golf between the ages of six and 12. Jaxson, who first picked up a club on a family holiday in July 2014, has a handicap of 30. His best round score of 90 at his home course, the par 70 Kendleshire in Bristol, rivals that of many adult golfers. 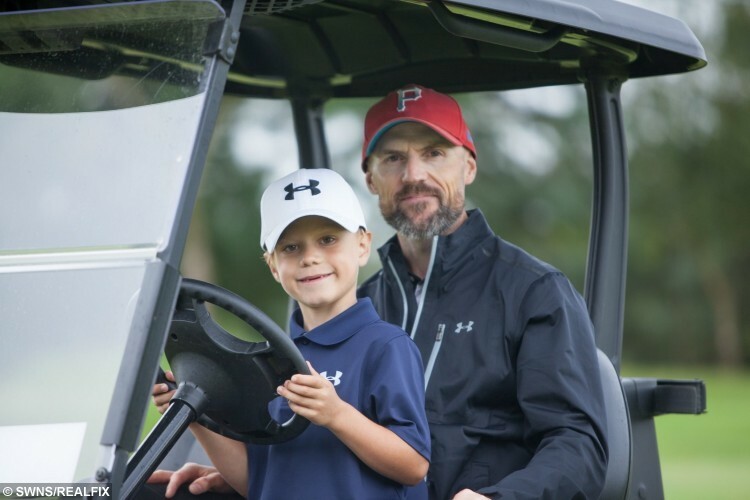 Proud dad Andrew, 44, believes his son has great potential and could have a bright future in golf, if he continues to improve into his teen years. Andrew, a supply chain manager, said: “I was a golfer when I was younger but nothing of the potential of Jaxson. “My dad was the first person to teach him, most kids would have just swung the club round and round but Jaxson mimicked his grandfather. “He was only four-years-old but it looked very comfortable holding the small plastic club, you might say a natural. “After starting group lessons in July 2014 he progressed really quickly and after around nine months he entered and finished fourth in his first competition in April 2015. The junior game (below nine years of age) is remarkably similar to that of the adult one with players competing on adult courses, the only major differences being shorter holes and typical events being just nine holes. 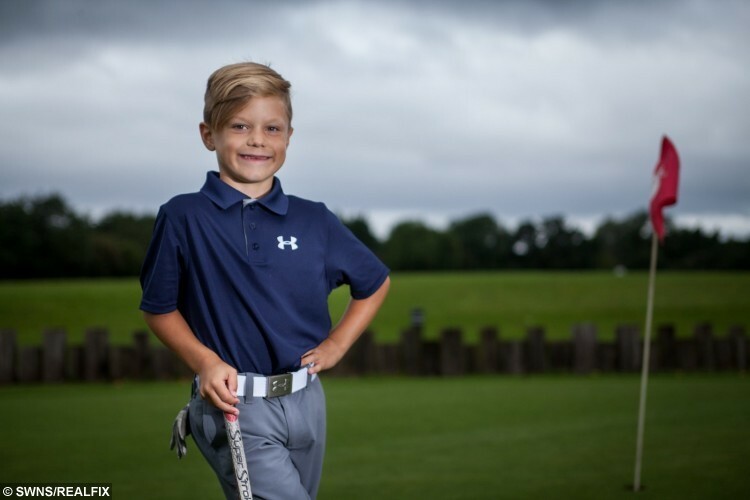 Jaxson teed off in America at the Longleaf Golf and Country Club, an 1852 yards – par 36 shortened course, on August 2 alongside partner Levi Grinberg, 8, from Ukraine, in the 8 and Under World Team Pairs (Scramble) event. The duo, who only met that day, proved an effective partnership as they shot a record six-under par score of 30 which saw them secure first place and become Team Pairs world champions. 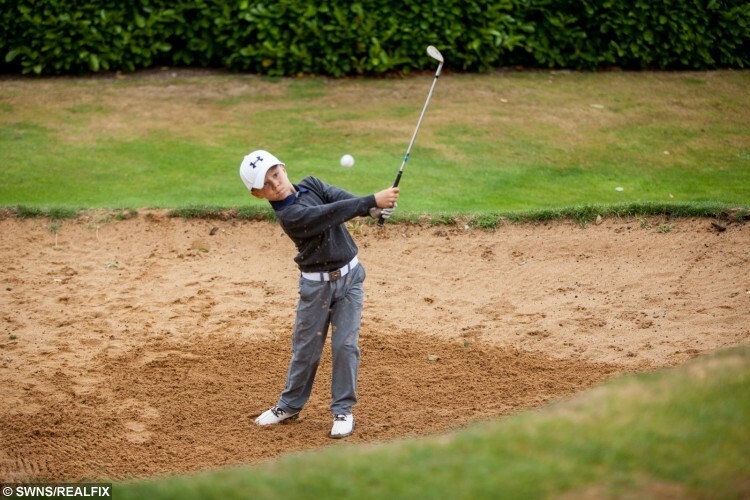 On August 4, the golfing superstar travelled to the Midland GC for the 6 and Under World Finals, a tight 1,311-yard, par-36 course, where he finished in an outstanding fourth place in the world, as well as the top European player in all age groups up to under twelve. Jaxson also overcame 90 competitors to emerge as the world putting champion, earning a third trophy in just four days, despite not receiving any funding for the trip. 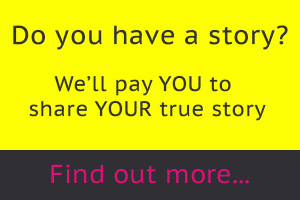 Andrew said: “The UK kids were all on their own, they get no funding from any UK organisations. “It is disappointing as we understood that kids from other countries had varying types of support, ranging from country specific clothing to flight and accommodation support. “We approached a lot of organisations, the local MP and a number of airlines, but although everyone was impressed with Jaxson’s success pre-World Finals, our requests for assistance didn’t materialise into any financial aid. 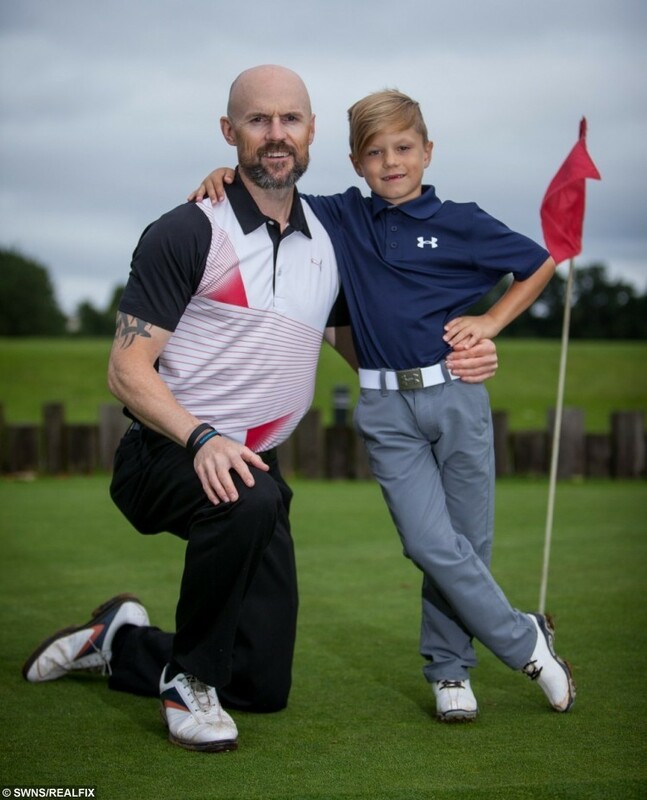 Andrew Perry and Son Jaxson Perry, 6, young golfing Champion at The Kendleshire Golf Club. “The trip to the USA cost us in the region of £4,000, three flights, hotel accommodation, transport, food and the $295 competition fees. “Only through wonderful support from friends and family were we able to make the trip happen and now we think about covering costs after the event has finished, but have amazing memories that will last far longer. Jaxson can speak fluent Hungarian, thanks to mum Edina Toth, 37, and is also a big football lover who plays for his local team and trains with Southampton and Bristol City academies. Andrew added: “Football is another great passion of his, golf takes a back seat in the Winter with the weather but Jaxson says golf will always come first. “He loves the game now, if he’s as strong a player in his early teens with a good handicap then we’ll push on if he wishes, but it has to remain enjoyable. “People can have huge amounts of ability but don’t have the mentality, you need to play in big competitions under pressure to be able to grow and reach your potential. “I’m not going to say Jaxson is the next anybody, but he has a huge potential talent that needs to be nurtured.